Finally, we are able to conduct an Interview with Mr. Kartik, the co-producer, lead animator and 3D Artist of The Art of Cricket game. Kartik has answered all the questions regarding the game. CricketGaming.net: First of all the most important and frequent question. When TAOC is expected to be released? Kartik: Ah! the Million Dollar Question. Unfortunately, we’ve been pretty bad at setting targets and actually keeping up to it. Since this is a part time project, the uncertainty of work & personal pressures has numerous times resulted in failure of reaching the desired goals. We then decided to take things step by and step and that resulted in the birth of the Alpha Release. Once that is done, the kind of feedback we get, the things they like / dislike will play a huge part in deciding the release date. 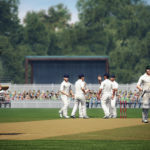 CricketGaming.net: The team of TAOC is not too big but still the game is one of the most anticipated cricket video game. Do you think TAOC can stand on people’s expectations? Kartik: Hahaha….we’ve literally abused the concept of anticipation havent we ? 4 years and yet no demo or any display of the new engine. its not a pretty sight. I would describe the TAOC team as Miniscule. Only 2 people(Paul Snell and me) are working on the core aspects of the game i.e Gameplay, AI, Animations etc. Holmie has been helpful with 2D GFX like Logos, Overlays. Matt Whitehorn and Lee have been helpful with the initial set-up of the Website and other PR stuff. Tom Hicks and Abhinav have done the odd coding jobs. None of us are paid, its all done in the free time. we’ll soon get the idea once the alpha is released.although we are giving it our best shot. literally putting our blood, sweat and tears into it. 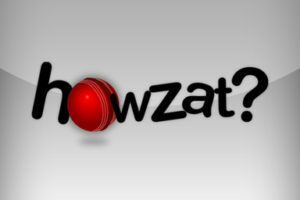 CricketGaming.net: Your tag line is, “TAOC is more on gameplay rather than graphics” but if we’ll look at Ashes Cricket 2009, the game was really popular because of Graphics. What you think? Kartik: I wouldn’t say it was popular because of the graphics. yes, they were definitely great but a number of factors like the Ashes Release, The PR work done by Transmission Games & Codies, Developers posting in the forums etc have heavily influenced the hype and hoopla that it got.We keep on saying “TAOC is more on gameplay than graphics” because thats the need of the hour. Eye-candies can only keep you sustained for a few days. but then, its the gameplay that decides its test of time which unfortunately failed in the case of Ashes 2009. If you take the example of BLC99, majority of the cricket fans around the world even after 10 years,STILL vote it as the best cricket game ever. CricketGaming.net: We have seen the features at TAOC official site and they are fantastic. Do you think IPL could be a great addition too? Kartik: Thanks. Why just the IPL ? we would love to have Classic Matches, Domestic Tournaments, KFC Big Bash etc. It all depends on the speed of development, Positive Feedback etc. Right now, our main goal is to get the basics of the game spot on. get that excellent foundation in terms of Batting,Bowling and Fielding. Other features can be easily added on even after release. 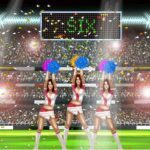 CricketGaming.net: Sounds and crowds, are they realistic? Kartik: Sounds and Crowds Obviously will be realistic. This department has unfortunately been neglected by many developers till now. EA being the worst at it.Sound is the Life of the game. its the thing that creates the atmosphere, the aura around which the game is played. I personally feel, one of the main reasons why BLC99 succeeded so much was due to excellent Crowd atmosphere and SFX. e.g if you played in the West indies or Sri lanka, you should be able to hear the typical drums and other instruments played there to get the feel. cricket. What you have in mind regarding this? Kartik: As they say, “Dont count the chickens before they hatch”. Yes, we do have the potential but we dont want to get a ahead of ourselves. we’ll feel its for real and justified if people say such good things about the game AFTER its released. CricketGaming.net: Does the game have realistic situations according to gameplay? be premature for me to comment on it. 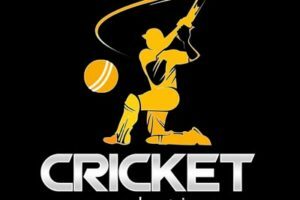 CricketGaming.net: The project was under development from last 4 years and it was abandoned in between. What is the current status of the progress of the game? with respect to our personal lives, careers etc. of the alpha release and we are working very hard towards releasing it. As of now, we are gearing up towards changing the batting system as the old one was very complicated and rigid. This one will allow the player more freedom and the ability to reach the ball. Basically, a system which best utilizes the animations, is User friendly Yet Challenging at the same time. CricketGaming.net: Is there any feature in the game that can update the roster automatically via sources like Cricinfo API? 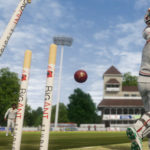 CricketGaming.net: What you would like to say to the fans of cricket video games? is endearing. Makes it an emotional experience as well. miniscule team. There have been a lot of times when we both almost to decided to call it quits. We’ve Lost a lot of sleep working really late, we’ve put in so many hours, i cant count anymore. we’ve sacrificed relationships and many social activities for this.Despite that,we’ve come so far..its not funny. Sometimes, we wonder how on earth did we last for 4 years and still going strong ? its just the love for the sport, the passion to make a great cricketing game and the experience that everyones been waiting for ages. cinema’s made. One of my favorite video games Half-Life 2 took 6 years to develop even though they had 100s of people working full time. Just have faith in us and keep up the encouragement and support. We’ll try our Best not to disappoint you.